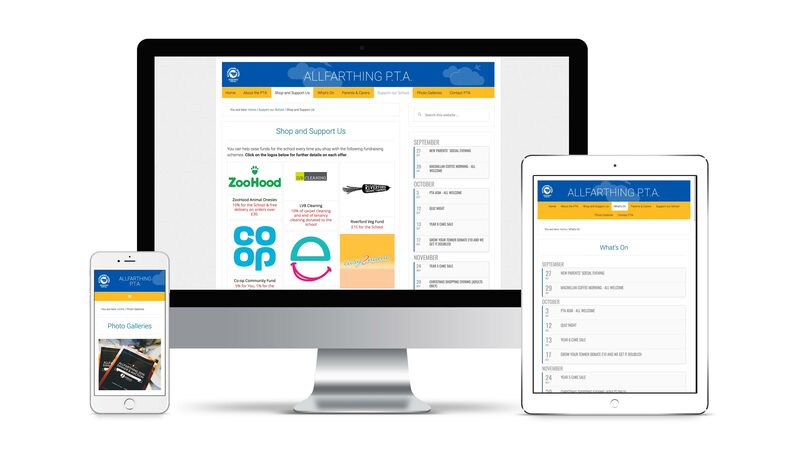 Allfarthing PTA is a non-profit organisation which brings together parents, carers, teachers and others to raise money to support the school and to help build the school community. Allfarthing P.T.A. needed a website to extend their reach to the parents and carers of Allfarthing Primary School beyond letters in book bags and word of mouth. It needed to be well structured, easy to navigate and act as a hub of information without being overwhelming. We created a clean and simple design for the site to ensure that every bit of information within it could be found easily and clearly read. We ensured the site had a strong link with the main school helping to strengthen the relationship between them. As the P.T.A. members get re-elected on a biennial bases it was imperative to make the admin of the site easy to access and update. Using WordPress CMS we ensured the admin would be intuitive and with easy to follow walk through give the PTA the confidence to add and amend content. “Strand Design have been fantastic to work with. They totally understood our brief and created the perfect website for our needs. They have also been very supportive helping us manage the site, for which we are very thankful. In a nutshell, a great job done and we would definitely recommend them to anyone. Thanks Strand Design.” – Allfarthing P.T.A. Sarah is an illustrator whose drawings have appeared in national newspapers, magazines, greetings cards and children’s books.